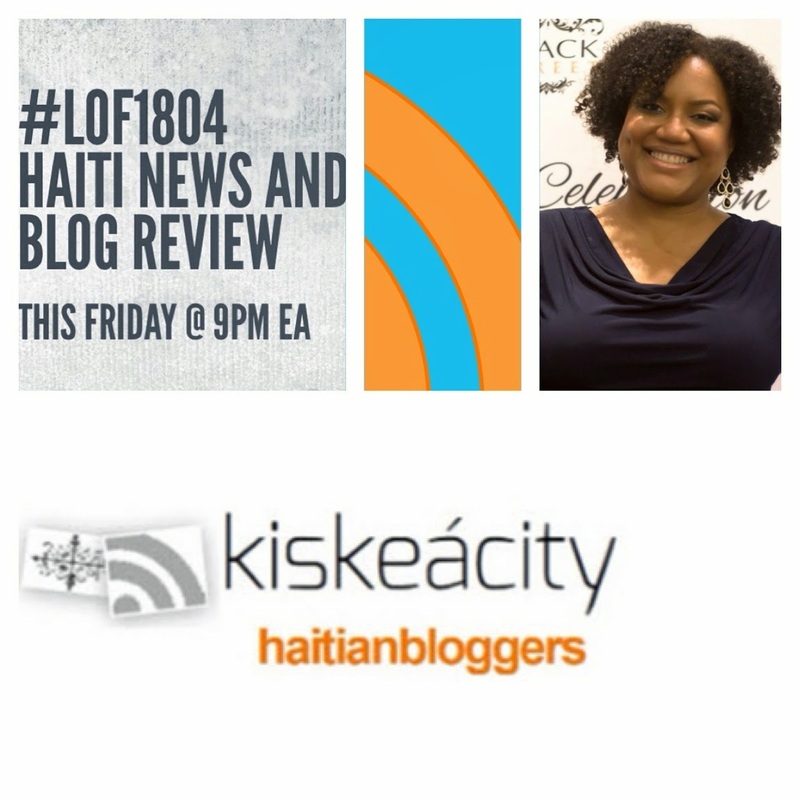 Join me and and guest pundits Hans Roy and Hugues Girard as we go over most significant moments of the year for Haitian and Haitian Diaspora current affairs. The Rise of Co-operative Economics in the West and among Blacks in the U.S. Listen live or archived at http://www.blogtalkradio.com/pancaribbean/2015/12/31/legacy-of-1804--2015-year-in-review-lof1804-haiti. Call in to listen at (714) 242-6119. This show was pre-recorded on 12/31/2015. There will be no live Q&A. I'm about to dig into my Xmas meal with my loved ones and I'm sure you are too. •There will be no Legacy of 1804 broadcast tonight but Merry Xmas and see you next Friday at 9PM. 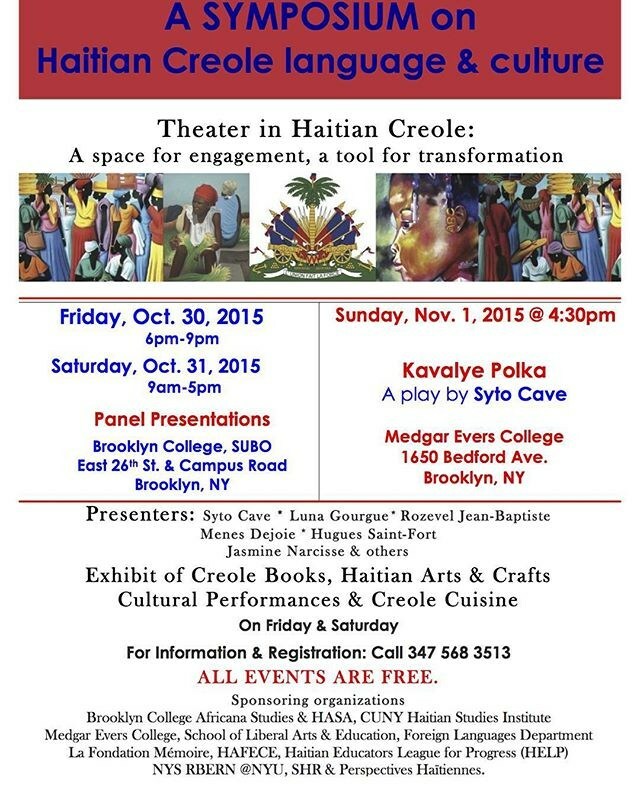 Join me as I play and discuss clips from Haitian Creole Symposium 2015 which took place at Brooklyn College on October 31, 2015---this is a third installment. The clips will be in Kreyòl but I will provide essential translations. Specifically, we will listen to Yves Raymond's FULL talk about outstanding issues in the Kreyòl spelling convention of 1980. Panelists included Syto Cavé, Prof. Luna Gourgue, Prof. Hugues Saint-Fort and Menes Déjoie, Yves Raymond among many others. You can listen to part 1 in which we played talks by Prof. Luna Gourgue, E.D. 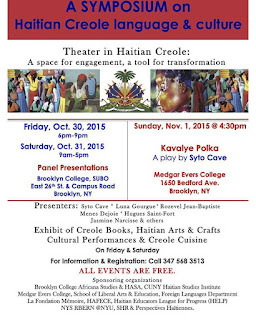 of Akademi Kreyòl Ayisyen about the role and mission of the Haitian Creole Academy and Menes Déjoie on the topic: "What has theater ever done for the Haitian people? 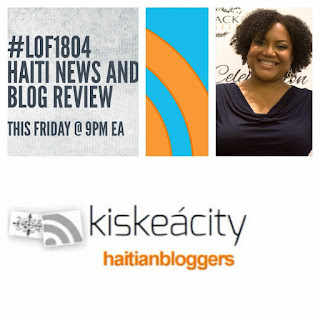 ": http://www.kiskeacity.com/2015/12/legacy-of-1804-on-haitian-creole.html. 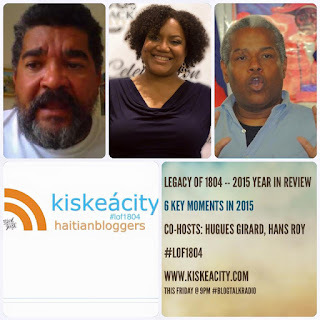 Listen to part 2: http://www.kiskeacity.com/2015/12/legacy-of-1804-on-haitian-creole.html.